There is a new weight class in town. 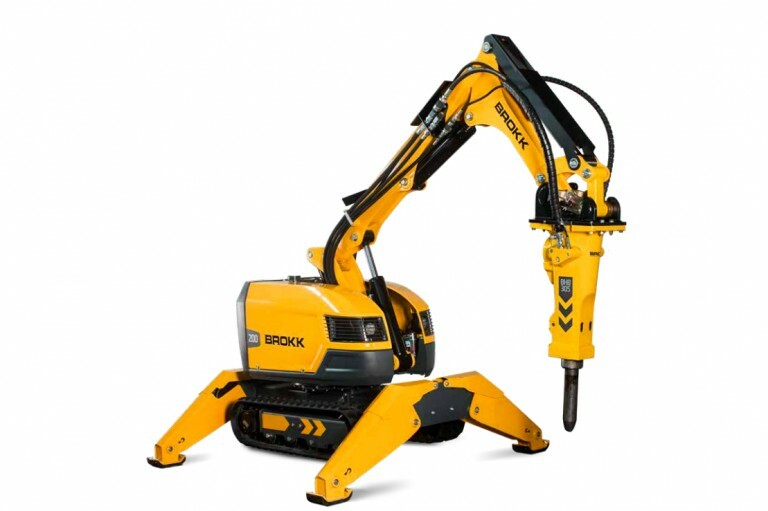 The all new BROKK 200 breaks new ground, packing the power of the Brokk 280 into a 2,1 ton compact package. This 27,5 kW Brokk SmartPowerTM machine carries tools one weight class above its size and brings the power to match it. Paired with the BHB 305 breaker or the all-new Darda CC480 crusher, it is a brutal demolition machine. And of course it comes with the new signature Brokk SmartDesignTM and SmartRemoteTM capabilities.